The Flint water crisis is one of the most famous cases of environmental contamination issues in recent American history. Now understood to be a human rights issue in the United States, the water crisis in Flint illuminates the trouble that comes with poor regulation of public resources. In April 2014, the city of Flint, Michigan, changed its drinking water source from water sourced from Lake Huron and Detroit River to the Flint River to reduce costs by way of delivery through a new pipeline between Flint and the river. 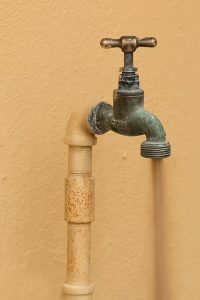 The major issues behind this change were not the source of the water itself, but the treatment of the drinking water once the switch took place. The water sourced from Lake Huron and the Detroit River was treated by the Detroit Water and Sewerage Department. The water sourced from the Flint River was improperly processed by the city of Flint and caused major corrosion issues across the water lines of the city, leading lead to slowly permeate the potable water and eventually create neurotoxicity and other systemic issues among residents using the city water. In August and September, mere months after the switch was initiated, the residents were given advisories to boil their water prior to using it for consumption or bathing. It was a sign of things to come. In January 2015, the city officials of Flint refused to reconnect the water supply back to the Lake Huron and Detroit River sources, again citing costs as an obstacle. The following month, a Flint citizen’s water was tested by Environmental Protection Agency manager Miquel Del Toral and came up positive for lead particulates at seven times the legal allowed limit by the EPA. The following months brought chaos, and with it, stories of children suffering brain damage due to their susceptibility to lead in the drinking water, an official city mandate for citizens to discontinue use of all of the city’s water, and an issued state of emergency. In 2016, four city officials were charged with criminal wrongdoing after a long, drawn out battle to have the federal government hear the plight of Flint’s citizens. In 2017, the city has finally been cleared to have over 18,000 water lines in Flint examined and replaced by the federal government. The water subsidies that have kept the city running on bottled water and managing bills for unusable public water have been eliminated, much to the mayor’s opposition. The water levels have been determined to be below EPA standards for the first time in three years by the Michigan Department of Environment Quality in early 2017, though Flint citizens and many officials still maintain that the water continues to be an issue in day to day life. The fight between the citizens, city, and federal government will continue to unfurl as health defects continue to show up after years of lead exposure, and as the battle for public resources continues.